It's November of 2020, and the world is freezing over. Each day colder than the last. There's snow in Israel, the Thames is overflowing, and an iceberg separated from the Fjords in Norway is expected to drift just off the coast of Scotland. As ice water melts into the Atlantic, frenzied London residents evacuate by the thousands for warmer temperatures down south. But not Dylan. Grieving and ready to build life anew, he heads north to bury his mother's and grandmother's ashes on the Scottish islands where they once lived. Log In to track Jenni Fagan on eReaderIQ. 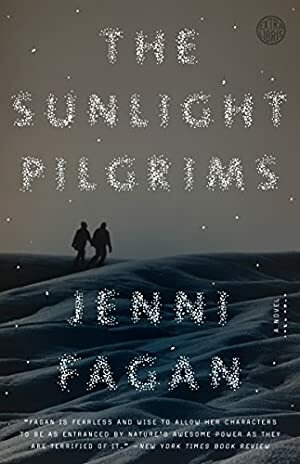 to be notified each time the price drops on any book by Jenni Fagan. to stop tracking Jenni Fagan. We started tracking this book on October 29, 2015. The price of this book has changed 3 times in the past 1,268 days. The current price of this book is $11.99 last checked 22 hours ago. The lowest price to date was $1.99 last reached on June 24, 2018. The highest price to date was $12.99 last reached on October 29, 2015. We last verified the price of this book about 22 hours ago. At that time, the price was $11.99. This price is subject to change. The price displayed on the Amazon.com website at the time of purchase is the price you will pay for this book. Please confirm the price before making any purchases.